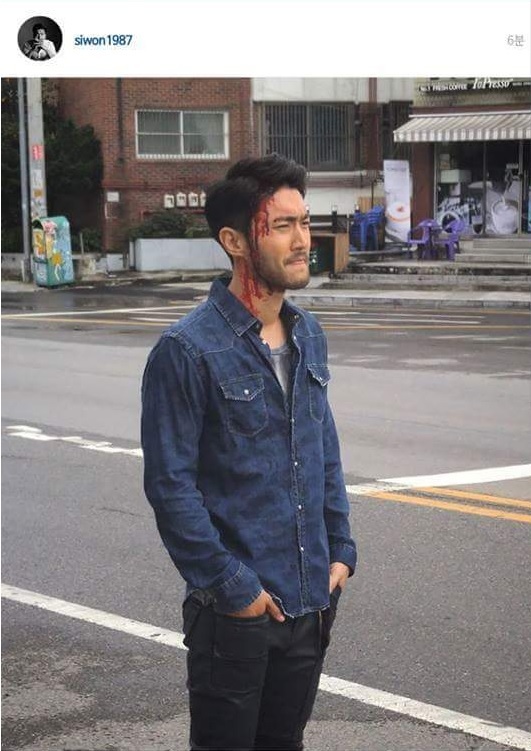 Earlier this month, fans may have noticed a picture of Super Junior’s Si-won posted on his Instagram, showing the star’s head bleeding. The short-lived upload will have left you wondering whether he had actually been hurt for real or if that was a spoiler for an upcoming episode of his latest Korean drama series, She Was Pretty, which also stars Hwang Jung-eum and Park Seo-joon. Actually this was taken from the set of Viki’s first original series, Dramaworld, which we mentioned earlier last month.